This is a paid internship in Japan. The internship Japan for international students is a Great Opportunity to complete Summer Internship in Japan & explore & they will see the Door open towards their Future Career. The Undergraduate Students can apply for the University of Tokyo Summer Internship Program in Japan. 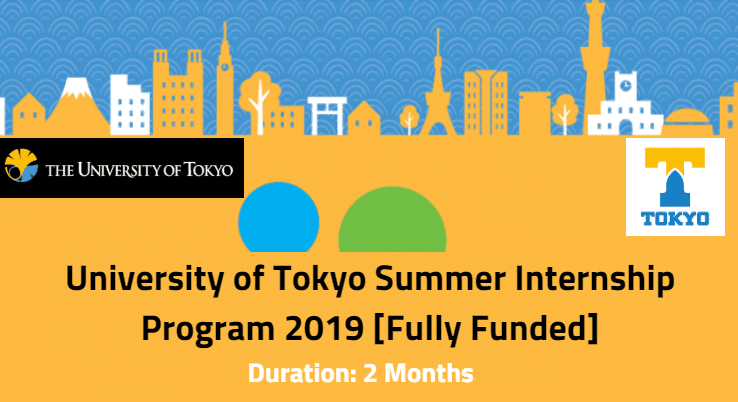 Applications are now open to apply for the University of Tokyo Summer Internship Program Japan 2019. 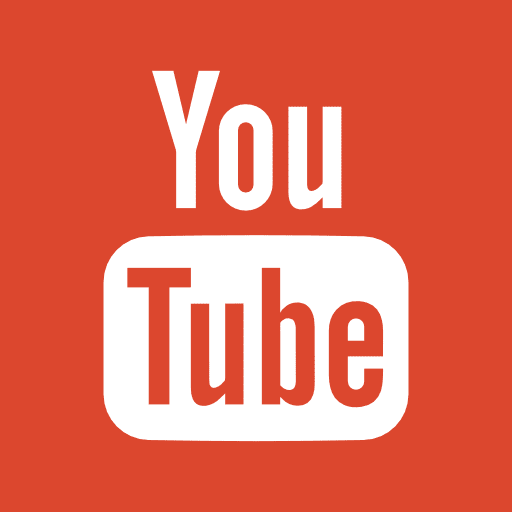 This Name of the program is UTokyo Amgen Scholars Program 2019. This internship is Fully Funded. All Cost will be Covered in Japan Internship Program. 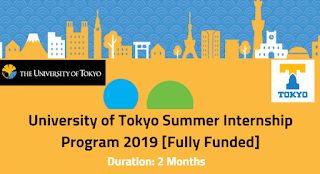 The Duration of the University of Tokyo Summer Internship Program will be 2 Months From June 10, 2019, to August 5, 2019. Students from all over the world are eligible to apply for the Japan Internship program. The Amgen Scholars Program provides hundreds of undergraduates each year with the opportunity to undertake scientific research projects at many of the world's leading institutions. Launched in 2006 in the United States, 2008 in Europe, and 2015 in Japan at the University of Tokyo and Kyoto University, Amgen Scholars has expanded to additional world-class institutions in the U.S., Europe and Asia. Free Accommodation will be provided in Near Campus. The stipend will be given as given below. The stipend should be used freely for transportation fees including the Airfares to Japan and to your own destination after the program, the budget for food and any personal trips during your stay in Japan and so on. Note: The Stipend is 350,000 JPY for Asian Countries Students. So, If You Convert 350,000 JPY into PKR Pakistani Currency its Equal to 408761.83. So, You can Easily Buy Airfare Tickets from Your Country to Japan. Once u get shortlisted the amount of stipend will be immeditely transfer into your bank account. so you can buy airfare tickets to Japan. and the remaining money You can use in Japan during the stay. The flight tickets will cost approximately 75K to 80k. If u buy one month earlier then more cheaper. Still, a lot of Money will be left from Your stipend which is much enough for the duration of the program. So Dont worry. Have an interest in pursuing a Ph.D.
To devote full effort in participation in the Amgen Scholars Program. Scholars cannot take any courses or hold a job throughout the duration of the program. In addition, all participants must be able to attend the program for its entire duration. To live in the accommodation provided by UTokyo. To participate fully in the day-to-day life of the research group, respect the work of all members of the laboratory, and attend and participate in laboratory meetings or other gatherings. To attend the orientation on June 11, all required conferences, activities and social events. To give a poster/presentation describing his/her summer research project. To submit a research paper to the UTokyo Amgen Scholars Program Director at the conclusion of the program. Resume/CV and Cover letter. 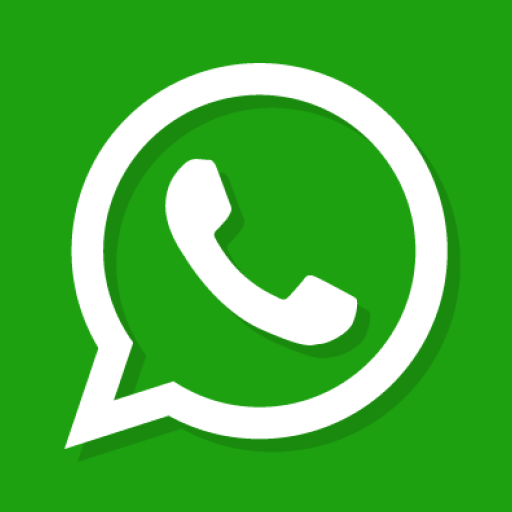 Download and complete the designated form below. Please save your documents as a Word file (e.g. .doc/docx). Privacy Statement and Agreement. 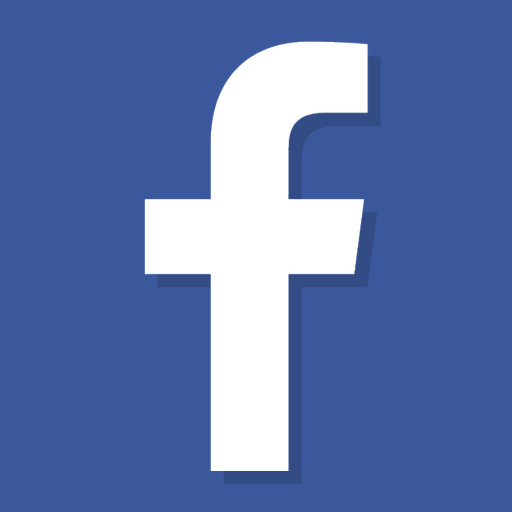 Privacy Statement and Agreement. Click HERE to download. Please be aware that applicants cannot apply for the program without this signed document.